The Navy’s number-two is on his way to the U.S. naval base in Bahrain following the Saturday death of U.S. 5th Fleet commander Vice. Adm. Scott Stearney. Vice Chief of Naval Operations Adm. Bill Moran is set to arrive this week at Naval Support Activity Bahrain to console Stearney’s family and the sailors at installation, a Navy official told USNI News on Monday. Moran is planned to have at least one all-hands call for the sailors at the Navy’s Middle East headquarters. He is also traveling to the region to reassure allies and partners to the U.S. commitment to its mission in the region, but the official stressed that was a secondary part of his trip to the naval base. According to the official, Moran is not leading the investigation into Stearney’s death. NCIS and Bahraini officials have not made a determination on the cause of death, but a U.S. official told USNI News that it will almost certainly be ruled a suicide. 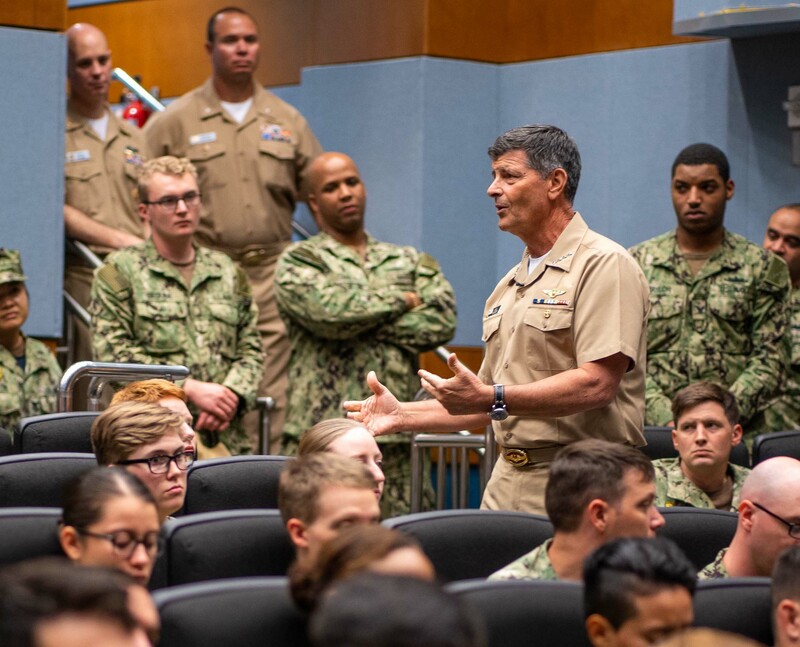 Last year, Moran was tapped to lead the Navy’s effort to reform the surface navy after two fatal collisions in the U.S. 7th Fleet area of responsibility resulted in the death of 17 sailors. He conducted a worldwide listening tour and series of all-hands calls to U.S. surface installations as part of the surface reform effort. Moran was scheduled to testify before the Senate Armed Services Committee on Wednesday about overall Navy readiness, but the hearing was canceled due to Wednesday being declared a day of mourning to honor former president George H.W. Bush, who died on Friday.